Franklyn Wang, of Falls Church, VA earned top individual honors and a $3,000 scholarship for solving a longstanding mathematical problem that has a wide range of potential applications, from creating better algorithms for telecommunications to designing safer infrastructures, like roads and bridges. Gabrielle Liu of Nashville, TN, and Allen Liu of Chattanooga, TN, shared the $6,000 team scholarship for developing a faster computational system that could lead to improvements in data processing speed and facial recognition software. They were among 101 students selected to compete in regional competitions across the country this month out of a pool of more than 1,860 projects submitted to the competition. 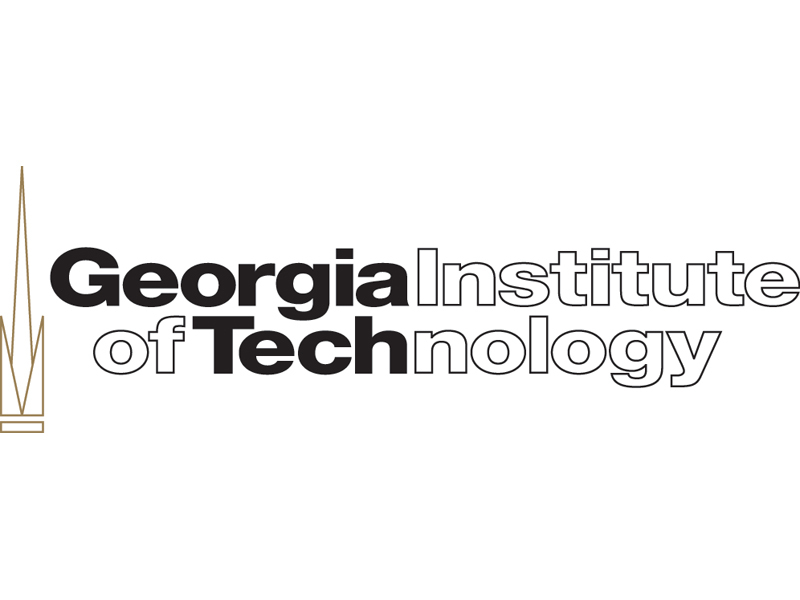 The students presented their research this weekend to a panel of judges at TheGeorgia Institute of Technology, host of Region Six Finals​. Using algebra, Franklyn worked through a complicated mathematical problem that has a wide range of potential applications, from creating faster, more secure algorithms for telecommunications to designing safer infrastructures, like bridges resistant to strong winds. His work is broadly relevant to a variety of problems in cryptography and various mechanical systems. Through his project, Franklyn classified the local singularities and behavior of rational geometric functions. In mathematics, a singularity is a point at which a given mathematical object is not defined, or a point where it fails to be well-behaved in some predictable way. Building on several previous studies in the field, Franklyn’s work brings this mathematical problem closer to completion. Franklyn became interested in math in the 7th grade when he participated in the MATHCOUNTS National competition, one of many math and science competitions he has joined over the years. He was recognized as a finalist at the 2017 USA Computing Olympiad, placing him in the top 26 among all high school competitors in the country. Franklyn also serves as captain of his school’s National Science Bowl team, which placed 2nd at the national competition in 2017. When he grows up, Franklyn hopes to be a researcher in math, computer science or economics, and use artificial intelligence and machine learning to solve problems facing mankind. Franklyn’s mentor is Dr. Michael Zieve of the University of Michigan. Gabrielle and Allen came up with a new mathematical concept for improving the running time in convolutional neural networks—a type of artificial intelligence computing system used in new technologies like facial recognition and driverless cars. By replacing multiplications with addition operations, Gabrielle and Allen’s mathematical framework could lead to significant improvements in data processing speed and machine learning. Today, the computational time for pattern and facial recognition can sometimes limit the application of these technologies to real-world problems, a limitation that will increase in importance as these technologies continue to advance. Gabrielle, a junior at Ravenwood High School in Brentwood, TN, is most passionate about mathematics and artificial intelligence. She was named a Broadcom MASTERS semifinalist and won the Grand Prize at the Middle Tennessee Science and Engineering Fair. In 2017, she was recognized as a semifinalist at the USA Biology Olympiad and a finalist at the Intel International Science and Engineering Fair. Gabrielle is a member of her school’s Forensics/Speech and Debate Team, the founder and president of the Computational Biology Club, and a member of the Nashville Fencing Club. Allen, a senior at McCallie School in Chattanooga, TN, is most passionate about math and music. He is a classically trained violinist and has performed at Carnegie Hall with the National Youth Orchestra. He has also served as concertmaster of the Tennessee All-State Symphony Orchestra, and regularly organizes concerts and community projects as an intern with String Theory, a chamber music concert series based in Chattanooga that has performed across the country. Allen’s interest in science led him to placing in the Top 150 in the United States National Chemistry Olympiad. He is President of his school’s Young Democrats Club and co-captain of the Mock Trial team. The team's mentor is mathematics teacher Peter Lowen of Ravenwood High School in Brentwood, TN. Winners of the regional events will advance to the National Finals to be held at The George Washington University in Washington, D.C.,December 4-5, 2017, where $500,000 in scholarships will be awarded, including the two top prizes of $100,000 and one of the most prestigious science honors awarded to high school students in the country today. Every finalist will receive at least $25,000 in scholarship money.